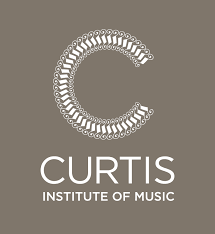 The Curtis Institute trains exceptionally gifted young musicians for careers as performing artists at the highest professional level. Hear the stars of tomorrow as they perform solo and chamber music in these pre-graduation recitals. Join us for a Happy Hour at the PARC Restaurant then walk around the corner to enjoy the recital with other music lovers. ***Updated Times*** - The performance has been moved up to 6:30 pm. The happy hour at PARC will be from 5pm until heading over to the rectial hall shortly after 6pm. Happy Hour: 5:00 pm - Meet at PARC Restaurant & Bar (227 S. 18th Street). Recital: 6:30 pm - Free, no tickets or reservations required for retical; we will head over at 6:15 pm, as seating is general admission and first-come, first-served. RSVP: Requested but not required. Please enter info below map.